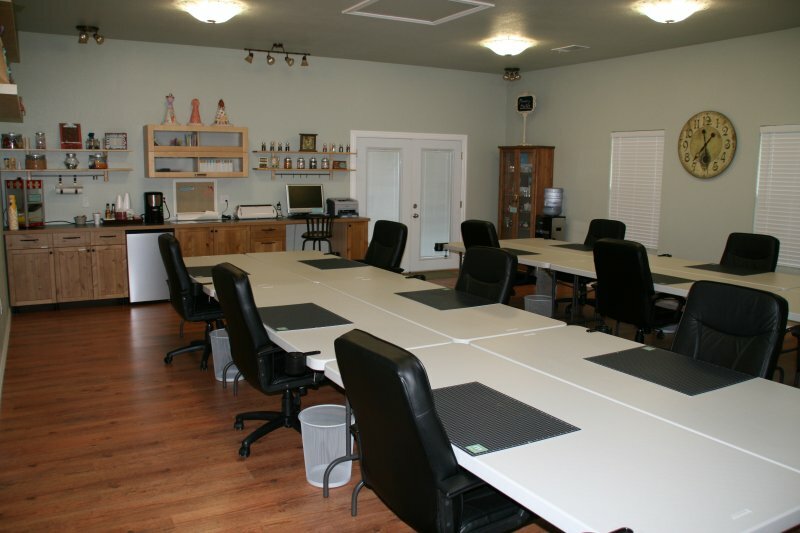 You'll love the 720 square foot craft room specially designed to inspire your natural creativity! Lots of windows and natural light bulbs show the true color of your work. Our oversized craft room is detached from the main house, so the guests that are sleeping will not be disturbed by the guests who want to crop all night! Don't worry, the craft room is literally a few steps away from the main house and the walkway between the two is covered to protect you and your things in the event of bad weather. We recently constructed a full bath consisting of a walk-in shower with body jets, dressing room and powder bath. Our supply store has also been enlarged. Your own full size refrigerator/freezer, plus a dedicated beverage cooler, provide ample room for your food and drinks in addition to the kitchen refrigerator. There is a dedicated A/C and heating system for this room as well, which guarantees your comfort regardless of how late or early you are working. 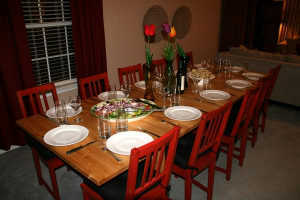 The dining room is equipped to accommodate food service for all 12 guests so everyone can enjoy the great food and great friends together. If you opt for our chef service during your stay, you will be treated to several amazing meals here - all served at your seat and cleaned up for you when finished. 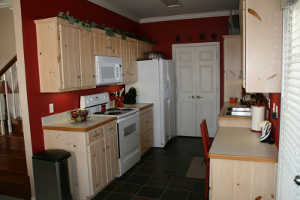 Grab a refreshment, some snacks, or cook a full meal for you and your friends. 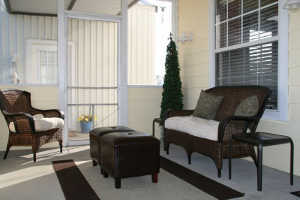 Our large screened-in patio provides a morning sanctuary for a fresh cup of coffee and a good read. Have your breakfast while you watch the sun rise or enjoy a cold beverage during the long summer evenings.